Crazy wholesome for salad dressings, each flavor is not for everyone, but odds are, there is a flavor that fits you. The Apple Fennel, Chili-Lime and Kalamata Tomato were our hands down favorites. The bold yet cohesive and versatile flavors in each helped kick our rating up to 5 stars. As for the creamier options, the Ranch Chia was good, but didn't wow me as hoped. Tony found it a little too unique for his tastes. He did however really like the dill pickle infusion of the Remoulade, just wishing for a bolder punch. Beyond the taste, it's hard to ignore the ingredient quality and over-the-top healthy add-ins that make each variety special. Updated with more flavors and new packaging! I was finally lured into a full review of those cute, intriguing bottles of Hilary’s Eat Well Salad Dressings. We had mini tastings of them at trade shows, however they needed the full salad treatment before I could fully weigh in. But before I get into our tasting notes, I think it’s important to note some of the many special features of Hilary’s Eat Well Salad Dressings. First, for those with allergies, it states right on the front of each bottle “gluten free, dairy free, soy free, corn free, egg free, nut free”. And unlike most other brands, Hilary’s Eat Well Salad Dressings are enriched with creamy organic coconut milk or organic extra-virgin olive oil, rather than canola or soy oil. 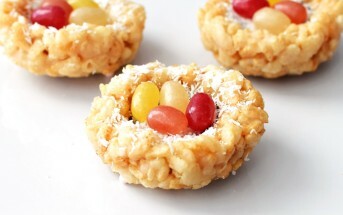 They’re also heavily certified (see below), very low in sugars, and relatively low in fat and calories. Plus, each flavor has some “sneaky” healthy ingredients, ranging from mild-mannered carrots to crazy dandelion root. First, I do have one word of warning. Because of the natural ingredients and lack of thickeners and additives in Hilary’s Eat Well Salad Dressings, they do tend to thicken quite a bit in the refrigerator. Some varieties even got a little lumpy from the chilled oils. To fix this, simply let them sit out for 5 minutes, give the bottle a shake, and the smooth, pourable goodness returns. Since Tony loves dill, I reached for this one first. When you first open the bottle, it has a “vinaigrette meets creamy dressing” consistency. But thanks to the abundant coconut milk in the mix, when chilled, it thickens tremendously. So thick, that it was hard to get it to pour at times! I loved that it was light enough to enjoy a double serving without guilt. And the flavor is pleasant with a notable tangy dill taste when tasted straight. That said, the flavors weren’t bold enough to stand up to stronger salad add-ins. I think it would be perfect on iceberg wedges or in pasta salad, but needs a little more oomph to compete with even slightly bitter greens. This unique gem was unexpectedly my favorite in our first batch of tastings. It is the most “vinaigrette” of the bunch in both taste and consistency, but is still a true individual. The flavors are hard to describe … tangy, sweet, savory, earthy, and strangely addictive. For me, this variety was the top pick for fresh salads and lightly steamed vegetables. Easily the boldest of the bunch, it has incredible depth with the balsamic, but isn’t overly tangy. The organic eyebright in the ingredients is indeed a surprise, but since I’ve never had eyebright, I can’t comment on any change it made to the flavor. Nonetheless, it does taste “herby” as labeled. Unlike many balsamic vinaigrettes, this one has a creamy, slightly thick vibe and is extremely savory. We agreed that it’s a great marinade option or even for flavoring entrees once cooked. 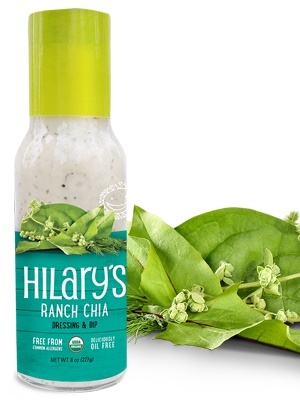 Both this version of Hilary’s Eat Well Salad Dressings and the Creamy Remoulade are labeled as “Beyond Dairy-Free”, and I can see why. They aren’t simple swaps for old standards. Rather, these modern takes on tradition are made with wholesome ingredients, healthy add-ins and have a farm-to-table flair. 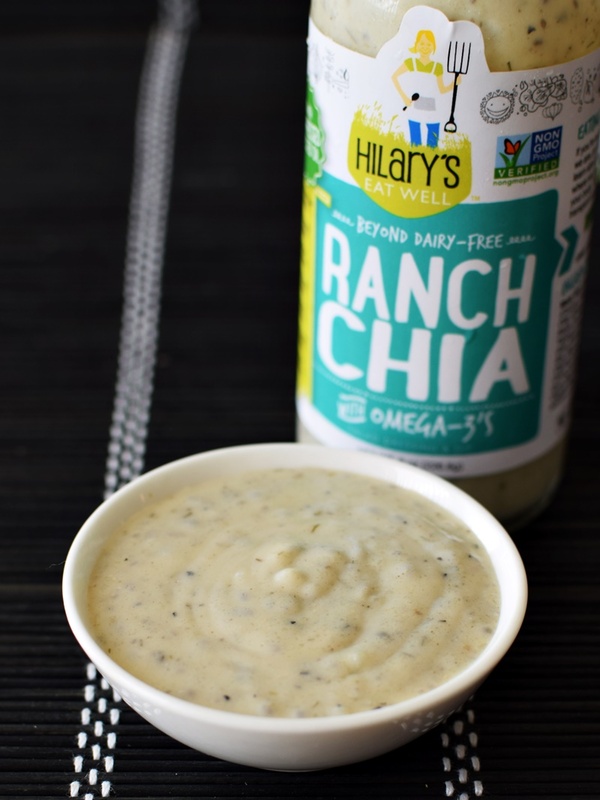 In addition to fresh herbs, spices and rich coconut milk, the Ranch is spiked with chia seeds. If you aren’t a fan of chia, move on. Tony didn’t like this dressing as a dip or on salad. I found it different, but okay. Nonetheless, it wasn’t my favorite of the lot. The chia created a texture that sometimes didn’t work with the medium, but the flavors were pleasant and definitely had a ranch seasoning vibe. I didn’t expect to like the Beet Vinaigrette, beyond it’s pretty purple hue. But its sweet disposition won me over with some very bright, yet cohesive flavors. Of the Hilary’s Eat Well Salad Dressings that we’ve tried, this one was the sweetest, but it isn’t too sugary. The tapioca syrup simply offsets the tang nicely, which also keeps the dressing pleasing and versatile rather than overly “beety”. As a marinade, I would probably pair this vinaigrette with lighter proteins. And for salads, I think it would pair beautifully with all types of greens. This sassy vinaigrette has a clean Southwestern flavor with just the right blend of vinaigrette tang, light sweetness and fresh spice. Both Tony and I found it quite addictive and versatile. I could easily see using it as a marinade on just about any protein, in fish or tofu tacos, or as the flavor base for a dip. Although I’m short on words for this dressing, it was one of our all around favorites. We simply loved this dressing. As you can see in the picture below, the Tomato Kalamata is a cross between vinaigrette, salad dressing and salsa in consistency. In fact, the lightly chunky texture of it made me think of a very thin, slightly pureed salsa. The flavors melded beautifully with rich olive notes that didn’t over power and a backdrop that wasn’t too “tomato” for our tastes. The very light sweetness and acidity balance was also just right, and we couldn’t argue with the insanely nutritious ingredient list. Note that the picture below shows the new packaging for Hilary’s Eat Well Salad Dressings. The images above have the old packaging. Sadly, the only variety we haven’t trialed is the one that I’m most interested in: Spicy Island. 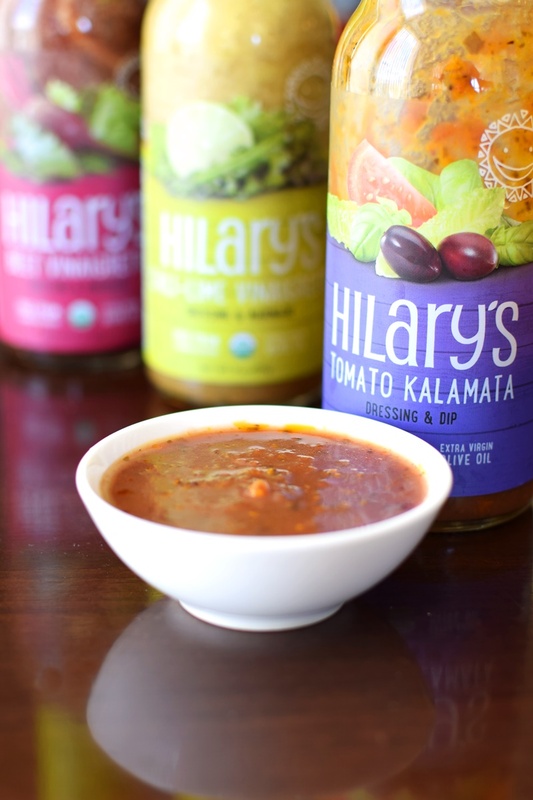 Thousand island dressing remains my comfort food favorite and I’m intrigued by Hilary’s healthy twists. Hopefully we can sample that one soon! Certifications: Hilary’s Eat Well Salad Dressings are Certified Organic, Certified Vegan, Certified Gluten-Free, and Non-GMO Verified. They are also a Certified B Corporation. 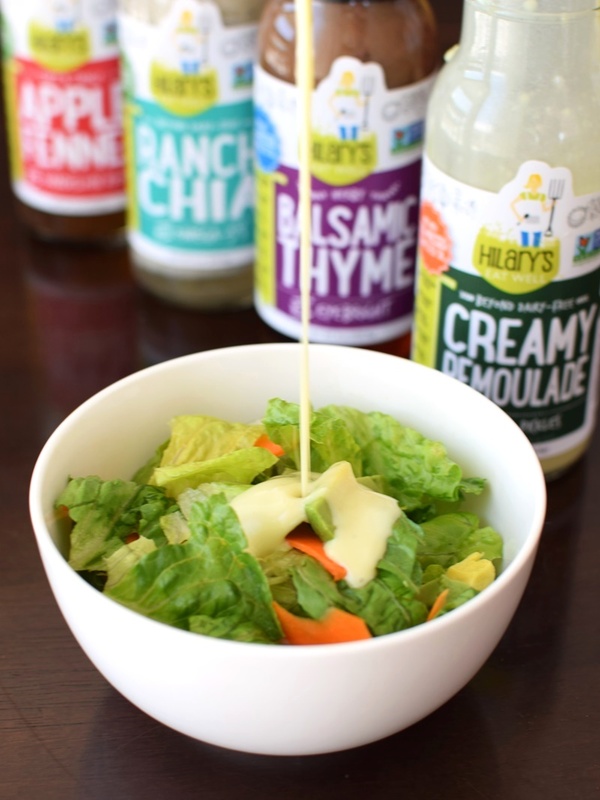 Dietary Notes: By ingredients, Hilary’s Eat Well Salad Dressings are dairy-free / non-dairy, egg-free, gluten-free, grain-free, nut-free, peanut-free, soy-free, vegan / plant-based, and vegetarian. Nonetheless, check with the company on their manufacturing processes for all varieties if potential allergen cross-contamination is an issue for you. Processes and labeling are subject to change at any time for any company / product. 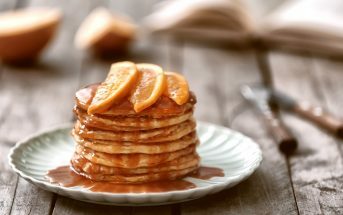 For More Product Information: Visit the Hilary’s Eat Well website at www.hilaryseatwell.com. Thanks for the review. They sound great! I have never seen them here, but I will keep my eye out! They’re sold chilled and definitely a good find for an active, healthy foodie like you Laura!